To make sure your poor toes aren’t left out in the cold, we’ve rounded up the season’s best party shoes from ShoeDazzle, a subscription service that ships you a new pair of killer shoes of your choice every month (or not if you choose to). And while you can snap these babies up without a subscription, with shoes this good and prices so low, we’re really into signing up for a VIP membership (because who wouldn't want a pair of shoes they've been lusting over delivered to their door every month?) From lavish jewel embellishments and rich hues to pearl accents and plush velvet, it’s all in the details—see and shop our top picks below, and rest assured you’ll be able to dance all night without risking frostbite. We adore the sleek, minimalistic design of these glam booties that effortlessly take you from desk to drinks. Flaunt them with slim-fitting cropped trousers and a flirty peplum top. Elegantly dress up a dinner party look—even if you’re assisting the chef—with these luxe, comfy loafers. Accent the pearl-embellished heel and slim silhouette with flowing velvet pants in a rich jewel tone topped with a slightly cropped wool sweater. 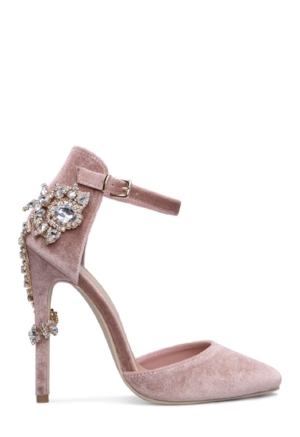 Plush velvet heels adorned with elegant jewels in a dreamy shade of pink? Yes, please! 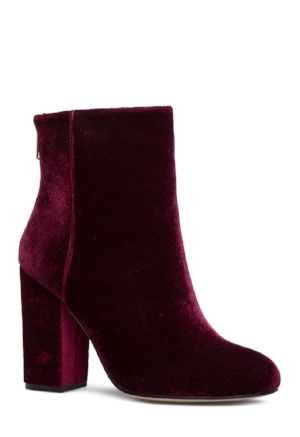 Wear these with a muted metallic slip dress and knee-length faux-fur coat—holiday party perfection.